Owner and chef Brian Collins will create a spectacular 4-course meal for FOXEN’s inaugural winemaker dinner at Ember Restaurant. 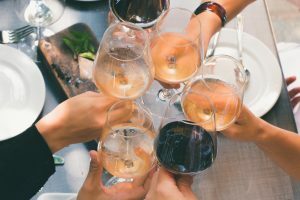 Called one of America’s 100 Best Wine Restaurants by Wine Enthusiast in 2015, their sustainable and fun approach to food will make this event one for the books. This is an event you do not want to miss but seating is limited. Tickets are only available through Eventbrite and are non-refundable. Each ticket is $120 and includes tax and gratuity. 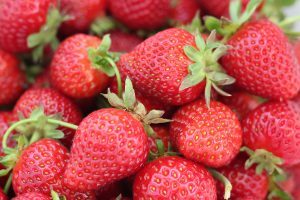 The Arroyo Grande Strawberry Festival named “The Place to be on Memorial Weekend” by Sunset Magazine! As one of California’s largest festivals and premiere festival on the Central Coast this family-style event brings together thousands of visitors and residents to enjoy activities and entertainment, the Strawberry Stampede, hundreds of art, craft and display booths, ethnic foods, and of course, scrumptious strawberry treats of all kinds in shortcakes, funnel cakes, milkshakes, ice cream and by the box! Features include Strawberry Stampede walk/run, Strawberry Pancake Breakfast, Strawberry Shortcake & T-shirt booths, Strawberry Prince & Princess Contest, Strawberry Blonde Contest, Strawberry Cook-Off Contest, Kiddie Carnival, Arts & Crafts Show, and Entertainment including Ethnic, Folk, Blues, Jazz, Contemporary & Rock ‘n Roll music!